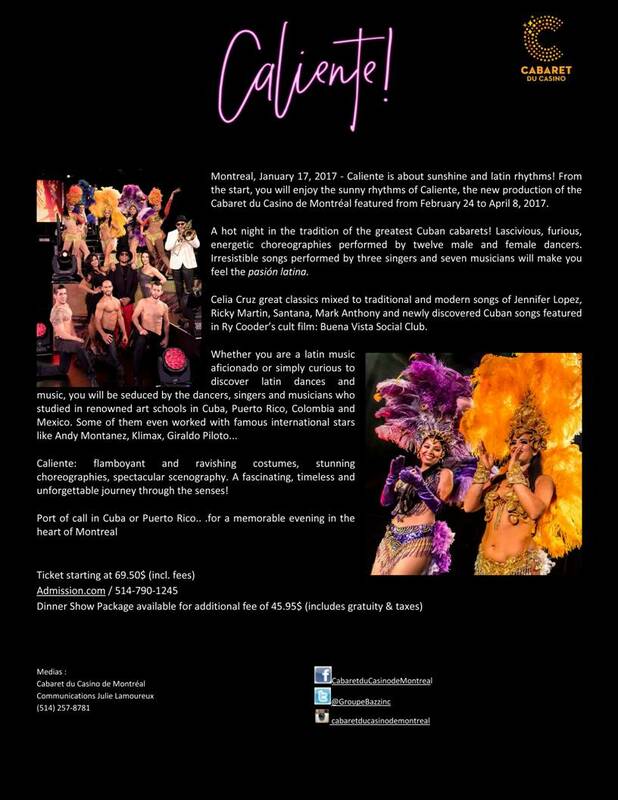 Cabaret du Casino de Montréal presents Caliente! Caliente is about sunshine and latin rhythms! From the start, you will enjoy the sunny rhythms of Caliente, the new Cabaret du Casino de Montréal featured from February 24 to April 8, 2017. A hot night in the tradition of the greatest Cuban cabarets! Lascivious, furious, energetic choreographies performed by twelve male and female dancers. Irresistible songs performed by three singers and seven musicians will make you feel the pasión latina. Be the first to comment on "Cabaret du Casino de Montréal presents Caliente!"